a surprise received today that I plan to unwrap and eat slow sometime tomorrow. ….and it happens to fit the bill for the weekly photo challenge theme…. Oh, that is lucious, I am stuck with a bowl of snickers…a moment on the lips, blah blah. Yum I love these! Looks like you made out well. It’s been decades since I had a toffee apple. I wish I’d bought one from Tesco now! 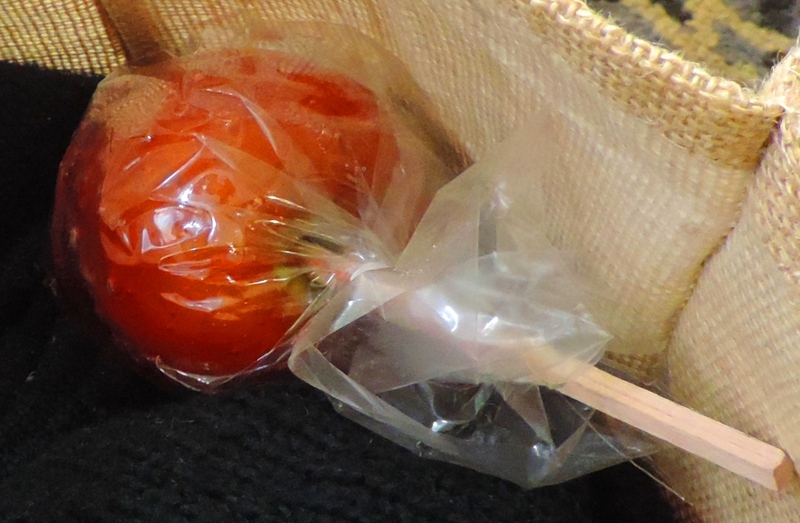 This toffee apple is inspiring , for the least :). I like also the harmonie of colors .